Currently Listening: Four Tet’s Beats in Space Mix, #676. | Pulp and Circumstance, Juiced. Currently Listening: Four Tet’s Beats in Space Mix, #676. 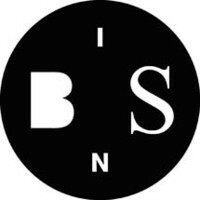 Tim Sweeney got the magical Kieren Hebden in for a mix at BIS Radio. Four Tet will do his thing at the Middle East downstairs next week; humblest will be there. BIS mix #676 features the brilliant Atoms for Peace remix of Four Tet’s own “Pyramid”, a couple Prince tracks, and even some Sylvester. It’s a gorgeous hour and some odd minutes and will get you moving on this Friday toward the weekend. This entry was posted in Currently Listening, jwolf and tagged four tet. Bookmark the permalink. ← Currently Listening: New Wild Nothing EP, Empty Estate.